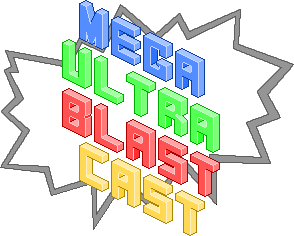 Episode 5 of the Mega Ultra Blast Cast (MUBC) is sadly lacking Delaney, as he was otherwise engaged during our recording session. We bring in our first-ever guest on the cast, a man by the name of Lindbeck, to discuss our thoughts on the Legend of Zelda series, Planetside 2 and a few very worthwhile movies, chief among them the third in the much-loved Blood and Cornetto trilogy. Good times are had by all. I realise now that I spam the word “cartoony” in the last half hour or so. Annoyingly, I say Link’s Awakening around the 51 minute mark but I mean A Link to the Past. Just clearing that up. If you feel so inclined, download the following file (or just click play), go for a run, take a scenic drive or just curl up on the couch and listen to the biased opinions of three Nintendo-loving Sydneysiders. Because again, there is no Delaney.